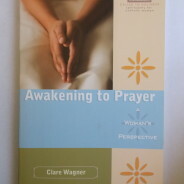 Reviews of selected titles authored by Dominican Sisters of Sinsinawa. 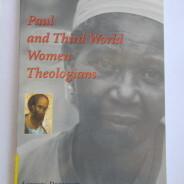 If you guessed “Paul and Third World Women Theologians” might be about what third world women theologians say about Saint Paul, or anything like that, you’re way off. Sister Loretta seems to strongly dislike Saint Paul, so her book is a reading of Saint Paul’s epistles as if Paul were a woman–“Paula.” His friends become Timothea, Sylvana, etc. And instead of a funny and flip approach to this aggressively foolish book that I cannot describe to others without laughing, I approach it in excruciating detail and intellectual seriousness in order to be specific about the problems with a book that may even be used, incredibly inappropriately, for college courses. 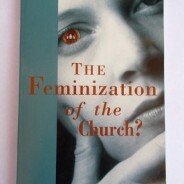 Then I review Sister Loretta’s book “Feminism and Beyond” in which she is very negative about marriage apparently due to seeing relationships with men as more or less inherently exploitative, but approvingly predicts that “In Western society we can project an increase in single females as well as lesbianism.” Maybe you could call these works Marxist-feminist-lesbian critique of Christianity. 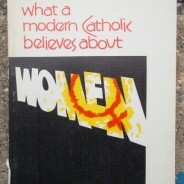 Written by a history professor Sister engaged heavily with the National Organization for Women in promoting the Equal Rights Amendment, this polemical work introduces us to all kinds of insulting or demeaning things some Catholics have historically said or thought about women, portraying these as “the Catholic position” and the Church as the “land of the perpetual put-down,” wherein “woman is not made in the image of God.” She compares the situation of women in the Church to the situation of black Americans which was being remedied by the black Liberation Movement, and insists there needs to be an elimination of anything upholding the order of man over woman. “The Church is not meant to be the Church of the hierarchy, the Church of men. It is the Church of Christ who loved and befriended and was served intimately by women.” Sister Albertus Magnus McGrath proposes “women’s ordination” as important to justice.